What if voting was put off until there were ~25 entrants? It might not be monthly anymore, but at least it would ensure that there's a good size group of entrants. I was extremely pumped when I won last year. Then all of a sudden I lost my tag. Pm'd a few mods. and they said it was above their means to get me my badge back. How many strings do I have to pull to find out what exactly happened? Really hope he brings it back. 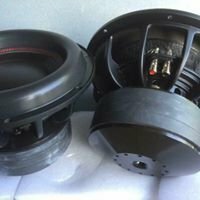 My sound system isn't worth more than $300 in equipment and I didn't pay more than $100 for all of it, and it isn't the best looking either, but I still enter. You never know what'll happen. Really hope this SMD Forum tradition isn't abandoned.